Is Nature Preparing for a New Ice Age or a Pole Shift? There is a very curious connection between lakes and volcanos in the Arctic. I just posted how there are kilotons of CO2 coming out of volcanos. There is a similar thing now showing up in lakes in the Arctic as well. There are about 300 lakes across the tundras of the Arctic. However, a scientist reports that she has never before ever seen a lake like this one. The lake looks like it is boiling. It is making a hissing sound and bubbles are rising to the surface like a pot of water which is on the stove. It is actually producing powerful greenhouse gas called methane that Europe is taxing farmers for because their cows produce it. Who should we tax for this one? 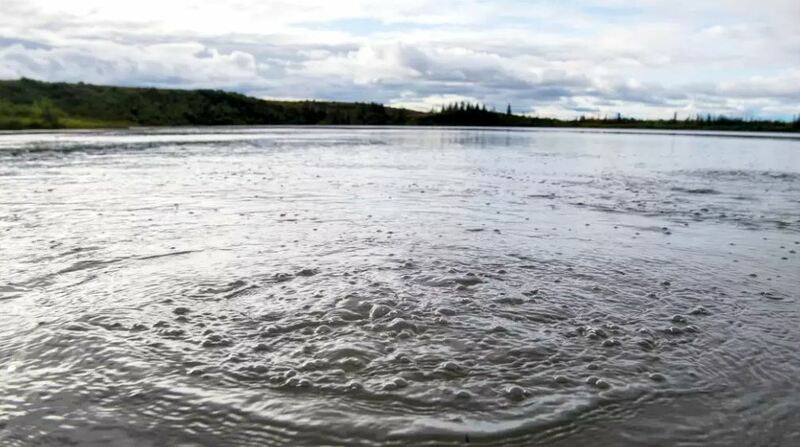 Methane gas has escaped from the lake bed and the bubbles are as big as a grapefruit. There has been a rise in volcanic activity under the ice caps at both the North and South Poles. Nobody knows if this is a prelude to a pole shift or is this simply a foreshadow of climate change and entering into a new ice age. What we do know is that melting ice does not result in rising sea levels, it results in the water evaporating and it comes back as snow which then increases the glaciers once again. The danger is that this entire Global Warming nonsense is ignoring how ice ages are even created! In fact, The British Daily Mail is reporting that not only was this forecast of Al Gore dead WRONG, the ice cap has actually expanded for the second year in a row covering 1.7million square kilometers MORE than 2 years ago and it is also thicker! In fact, the ice has melted in some areas and is building up in others as if they are gradually starting to move. That is good news for perhaps it means we are entering a mini ice age caused by a volcanic winter rather than melting ice that comes back as an ice age. « Australian Camels Invading Cities?